Part 2: Documenters don’t identify as do-gooders, they identify as citizens. 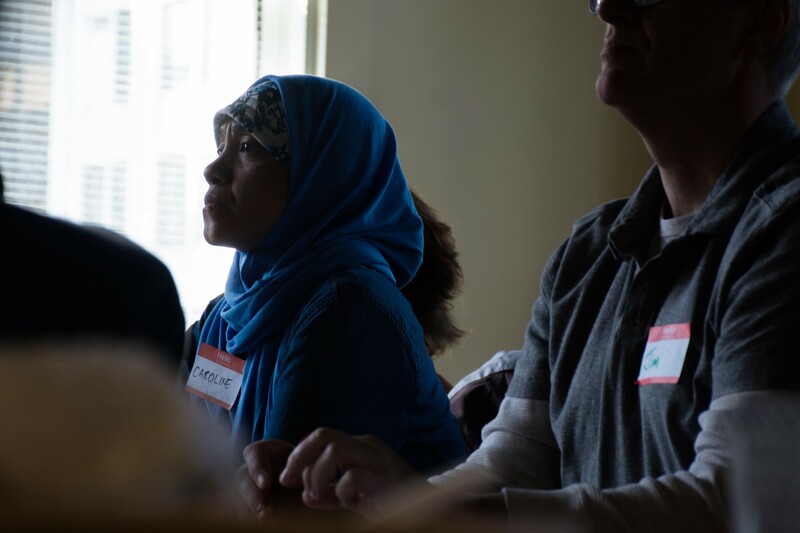 On March 10, City Bureau brought together 35 enrolled Documenters to refine and build upon our groundbreaking program that is changing the nature of civic engagement. It was an overwhelming success, and if you haven’t read the “how-to” of our first-ever Documenters Summit please take a look at Part 1 of this series then come back here to see what we learned. City Bureau’s 330 enrolled Documenters come from 55 of Chicago’s 77 Community Areas (i.e. neighborhoods), range from age 16 to 73, 61 percent identify as female, 33 percent identify as Black/African-American and a majority cite “I want to be more involved in my community” as a reason for joining the program. We’re proud that Documenters is an inclusive, diverse and intergenerational space. But to understand who they are beyond the numbers, we asked them about what motivates them and how they see their own role within society. These aren’t journalists by trade. They’re citizens who understand the value of reclaiming journalism and citizenship for the public. The results were similar when we asked our Documenters what doing Documenters work (i.e. live-tweeting public meetings, note-taking and producing audio/video at public meetings) has taught them. The Documenters program creates a new space and a new dynamic for civic engagement — unlike volunteering or donating to charities, the work in which Documenters engage is, by its nature, a two-way exchange where they derive concrete benefits (skill-building, knowledge about the city, self expression) while contributing to their communities in meaningful ways. In short, they can give and get at the same time. Getting paid for their work also is a crucial part of this exchange, not necessarily because of the dollar amount, but because it acknowledges the value of their time and allows them to prioritize the assignments among competing interests. City Bureau is providing a structure that can activate a segment of citizens who have not been invited to participate in traditional civic processes but who want to engage. The Documenters program highlights the mechanics of civic processes and gives people an on-ramp and a role to play in their communities, which makes it easier for them to get involved without worrying whether they “belong.” We’ve found that Documenters don’t identify as do-gooders, they identify as citizens. Our next milestone for the Documenters program is the Documenters platform, which will allow City Bureau staff to more easily export the Documenters program to cities across the country, with partners who understand local conditions and needs. The Documenters Platform will allows Documenters to log in, create accounts, claim Documenters assignments and collaborate with other Documenters. It will also house our City Scrapers project, which is collecting, standardizing and sharing information on local government’s public meetings in a single location. Is this something you want to see in your city? Our platform will make it easy for City Bureau staff to consult with you to create it (get on board early by emailing us at documenters@citybureau.org). In the meantime, follow along here and via our newsletter for updates. Become a City Bureau Press Club member to support this work. Comment on this post to let us know how you feel. Let’s redefine civic engagement together. Ellie Mejia and Tran Ha contributed to this post.